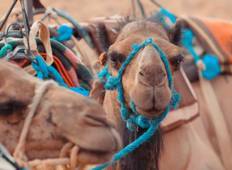 Find a culture trip that explores North Africa. There are 300 cultural tours to choose from, that range in length from 3 days up to 27 days. The most popular month for these tours is October, which has the most tour departures. "I thought the Tour was amazing!. Our Guide, " Peter" was absolutely fantastic. he..."
"Looking at the itinerary I didn't think there was much involved. Quite the opposite...."
"Awesome action packed tour! Best way to see so much of Egypt in a short amount of..."
"Quintessential Egypt. 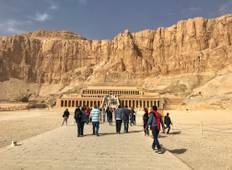 The tour included the most important antiquities in Egypt,..."
"The tour was amazing – I love that you got to see so much of the landscape and..."
"Previously being independent travellers, this was our first organised tour and it..."
"It was a little fast paced but we were well aware of that."